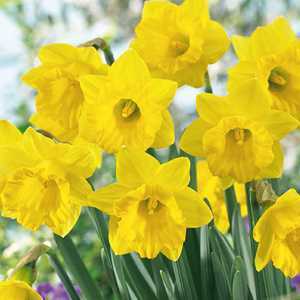 Narcissus Pseudonarcissus Obvallaris is an attractive bulbous plant with green stems and bright yellow trumpet shaped flowers. Flower colour: Bright yellow with bright yellow centre. Plant in the autumn for great results in the spring.